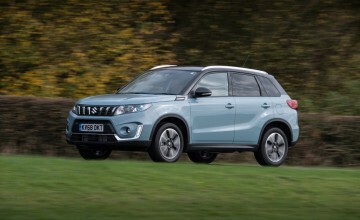 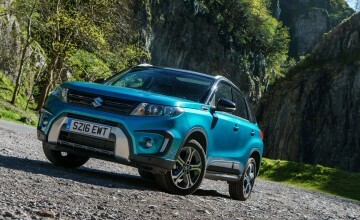 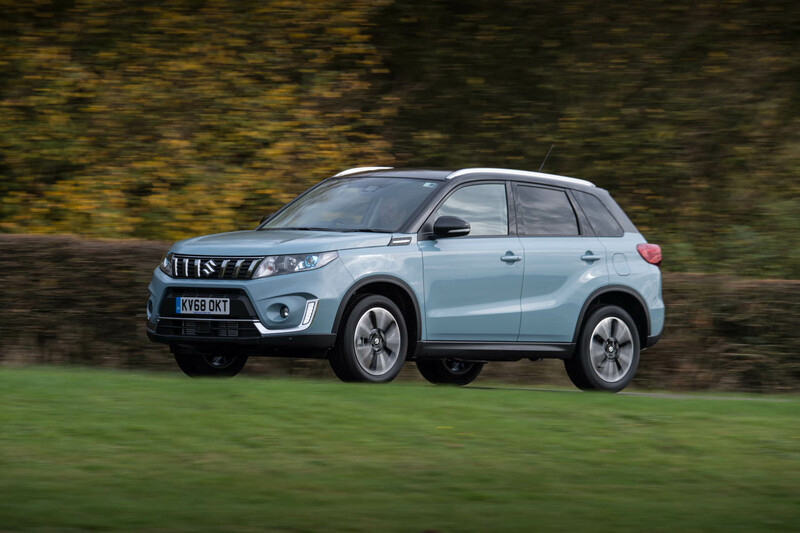 YOU can't buy a Vitara with a diesel engine any more but there's the promise of retaining good fuel economy in a new engine you can choose for the latest version of Suzuki's SUV. 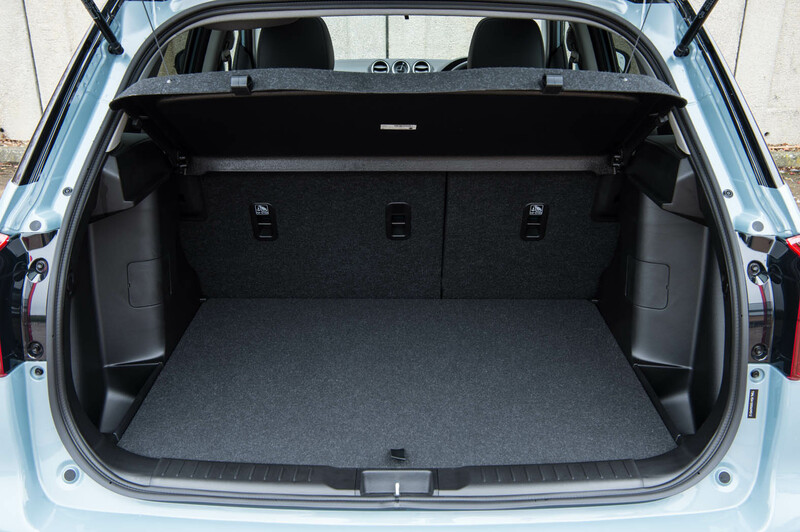 With less than a litre's capacity and just three cylinders, the new unit fills the same eco niche other car makers are favouring for their downsized power providers. 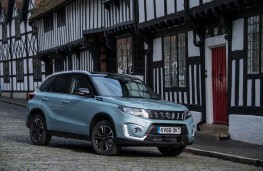 And with an official economy average topping 53mpg it promises diesel-like frugality without the added expense choosing diesel usually brings. 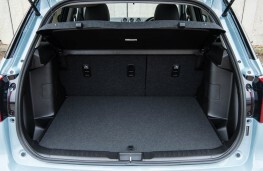 And friends and colleagues won't raise a quizzical eyebrow when they spot you at the filling station pump. 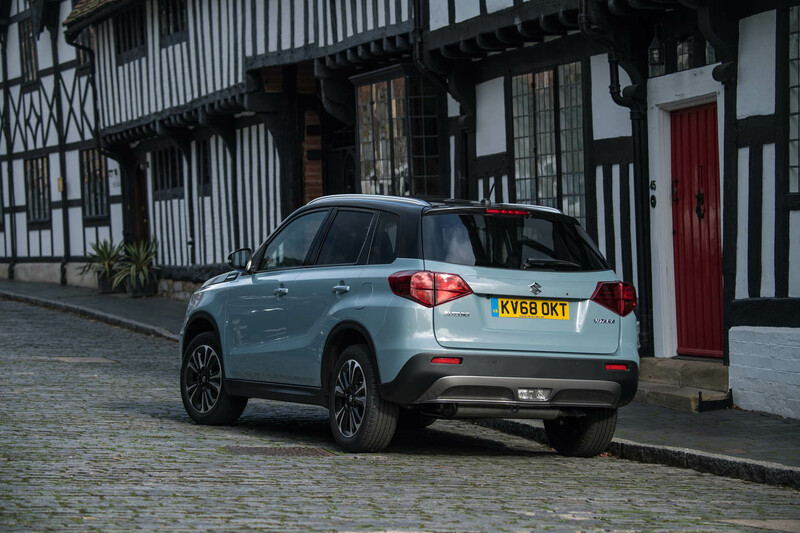 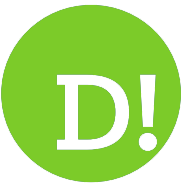 In fact, Suzuki has dropped diesel from its portfolio altogether, an easier decision than for some others as it sold so few oil burners in the UK anyway. 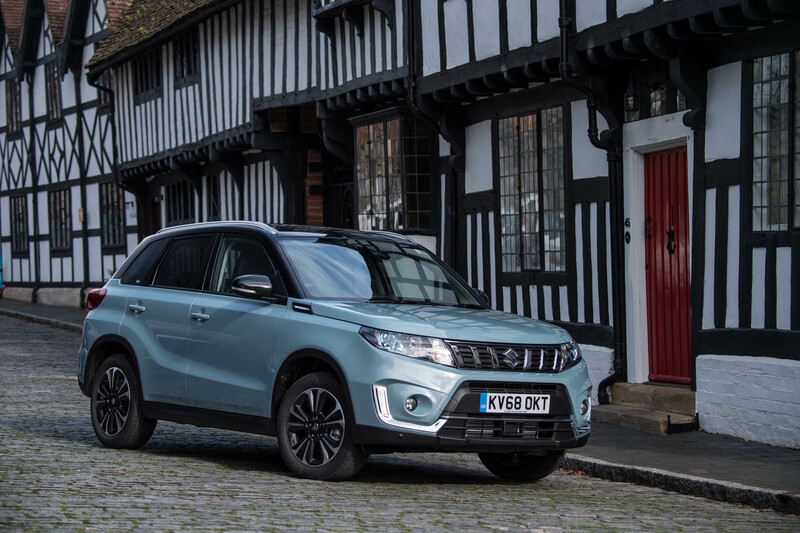 The resulting 998cc petrol powered Vitara means you can join the Suzuki SUV club for £16,999, a useful £3,000 saving on a Vitara with the 1.4-litre, 138bhp four-cylinder engine launched in 2016 and now more widely available across the range. Don't go thinking the tiddler newly installed under the bonnet means a hair shirt existence; you can have yours with an automatic gearbox (£20,349) or with Suzuki's ALLGRIP four-wheel drive system (£20,799) which is serious enough about off-road work to come with hill descent control and a limited slip differential. 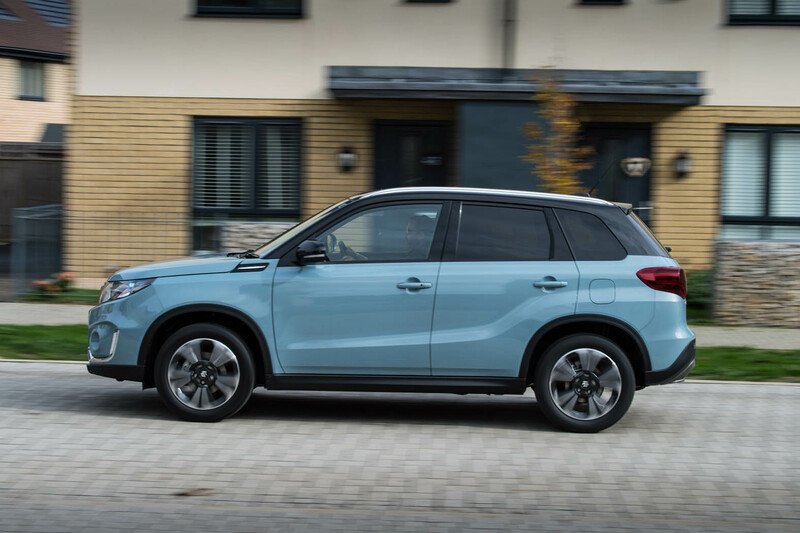 Whichever new Vitara you choose you'll notice a modest refresh to front and rear and a mildly revised interior which looks a bit smarter thanks to a soft touch dash covering and a bit more practical, thanks to an armrest between the front seats. 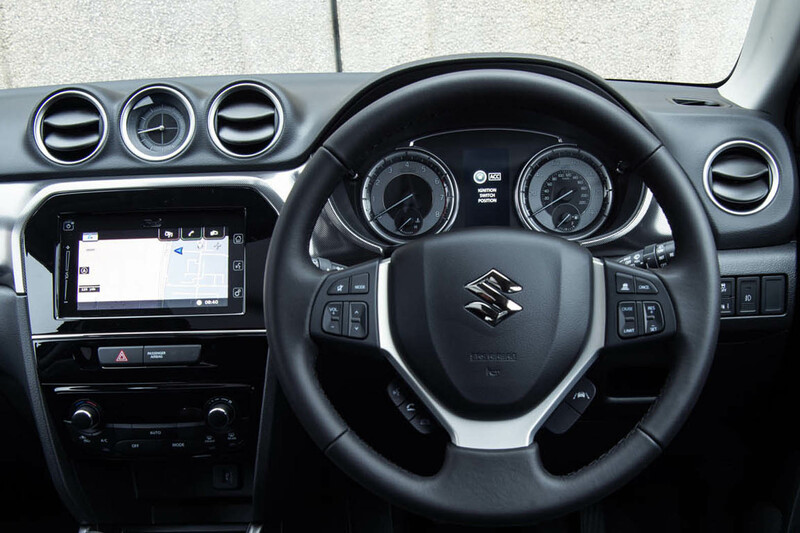 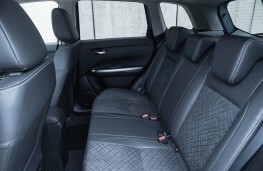 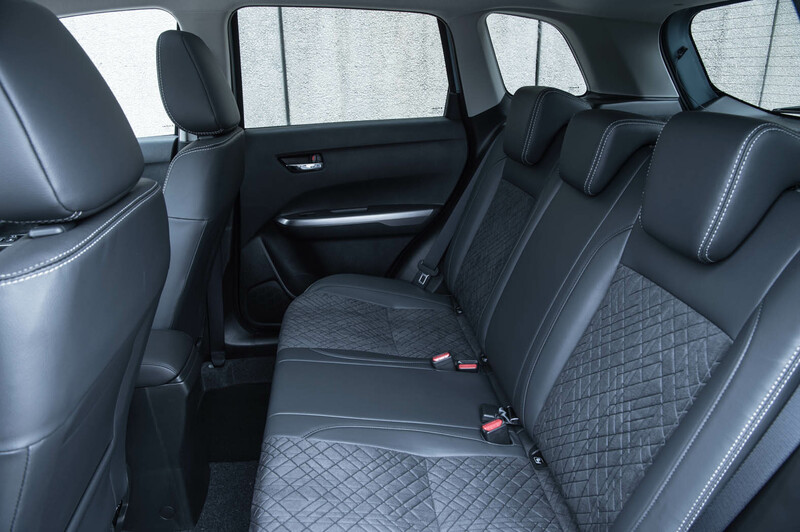 Standard kit includes seven airbags, alloy wheels, USB and Bluetooth connectivity, cruise control, auto air conditioning and electric windows all round. 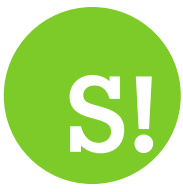 Move up from SZ4 to SZ-T grade and you'll find bigger alloys, smartphone link for audio and a navigation system. 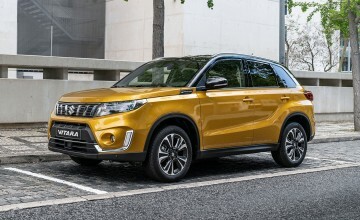 You'll need to choose the larger engined Vitara if you want the plushest SZ5 model, with LED headlights, adaptive cruise control, suede trim and a big glass sunroof. 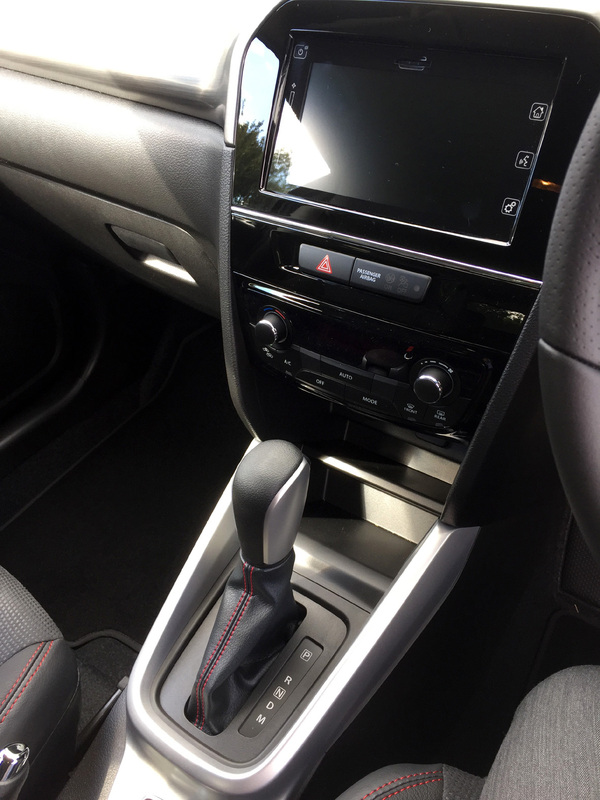 Having to content yourself with the 1.0-litre's lesser kit count shouldn't be a burden but it's worth noting that the manual transmission cars have a five-speed gearbox, where the 1.4s are awarded an extra, sixth gear. 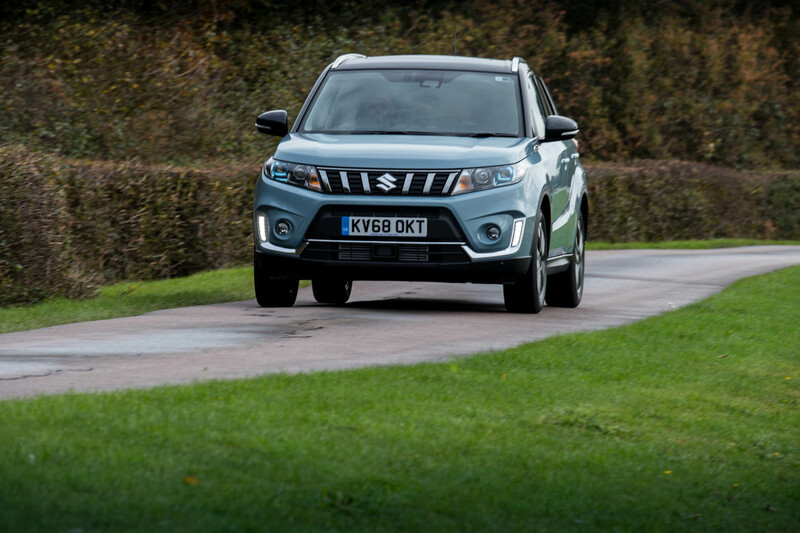 It means the tiddler buzzes a bit at motorway speed by comparison. 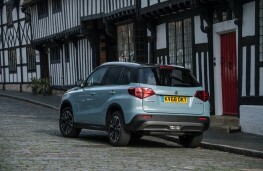 Which might help to explain why the automatic on test was a nicely composed companion at a dual carriageway lope, thanks to the six-speed gearbox that comes with the easier drive option. 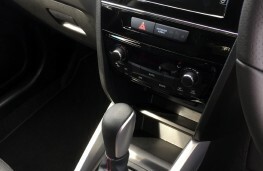 Letting the car change gear for you costs a little in performance but it feels lively enough, and a readout of 41mpg after a cross country dash means you won't suffer too much for choosing a car that does the hard work for you. 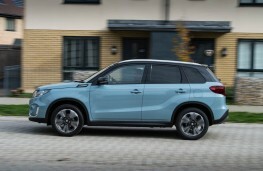 Not so long ago the thought of a car with a chunky SUV body shape, a tiny engine and automatic gears would have made a keen driver wince at the prospect of lava-like progress and huge fuel bills.